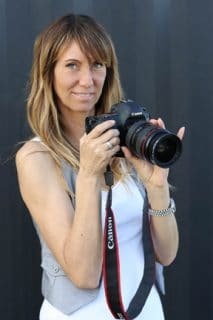 Hi there, my name is Simone Davis and I have had a love affair with photography all my life. I SPECIALISE in photographing PEOPLE and have a unique gift of seeing through your wall of defence and nerves into the heart finding the gold in you. I ground this in a photograph. Turning life into light. I have been photographing professionally since 1996. When I started my photographic career I specialised in family portraits, children and babies which was a huge amount of fun. However a couple of years later the opportunity to work with a leading Australian glamour photographer came my way – it was an offer too good to refuse. After two years assisting the leading glamour photographer I started my own freelance business photographing for model agencies, magazines and port folios. Through my experience in the exciting world of glamour photography I have mastered the art of making people look their absolute best in photographs. Of course – it’s a natural fit – glamour and wedding photography! In 2005 I started capturing more weddings. This is a passion. Initially this was mostly for friends and family, however the demand for a good wedding photographer has grown – particularly on the Gold Coast and Byron Bay – my home turf! I have discovered that I really enjoy photographing weddings here on the Gold Coast. There is so much romance and love on these special occasions which has me hooked. It’s a pleasure to help create special memories for special occasions and weddings are about as special as they come. To enhance my wedding site, I also have added a portfolio of family portraits, professional head shots to agency photos for models and professional team photos. I have also started doing video blogs and infomercials at a special rate when bought in a package with professional head shots. My studio is beachfront in Palm Beach on the Gold Coast where we have been for 16 years and you are welcome to come and meet me by appointment and see some of my work. I am a wedding photographer mostly on the Gold Coast, Byron Bay and Brisbane but do let me know if you are located elsewhere and we can discuss options. To book a wedding, I charge a 25% deposit, this means I am totally committed to your booking. Regardless of better offers. I am extremely reliable! After your legal cooling off period, this deposit is non refundable. The balance is payed on receipt of your photos always within 4 weeks of your wedding day. I look forward to meeting you, and sharing your special wedding day with you.